Since purchasing my long druzy necklace from Lemon Sweet Jewelry I have become obsessed. 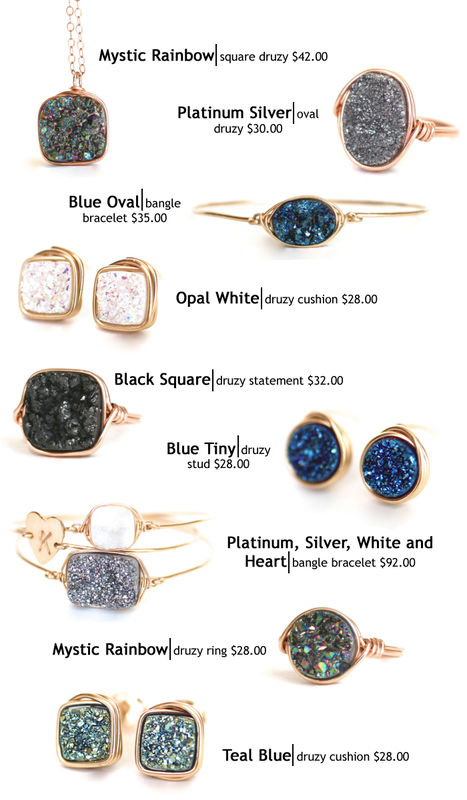 Through my cousin's Instagram prowess we found Wrenn Jewelry - a site chockfull of druzy goodness. 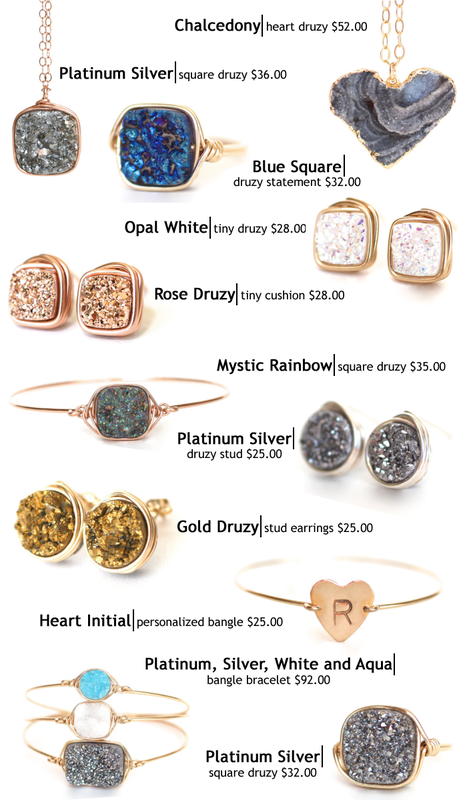 I was particularly drawn to Wrenn Jewelry's earrings and rings as I own a druzy necklace already. I couldn't be more thrilled with my statement ring purchase. It fits great on my pointer finger, and since receiving it, I've worn it everyday. The earrings, on the other hand, are incredibly small - minuscule to say the least. And while I hate to say anything negative about an independent shop, the photos of the studs are incredibly misleading. While the earrings are very small, I am enjoying wearing them. It's no big shocker that black earrings with rose gold trim go with everything. For Christmas I predict that at least one or two more rings from Wrenn Jewelry will be on my list. I also have my eye on the heart initial bracelet. Here's to hoping that these goodies are in my stocking come Christmas morning!